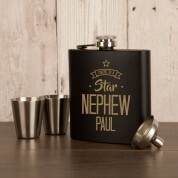 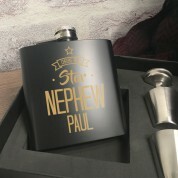 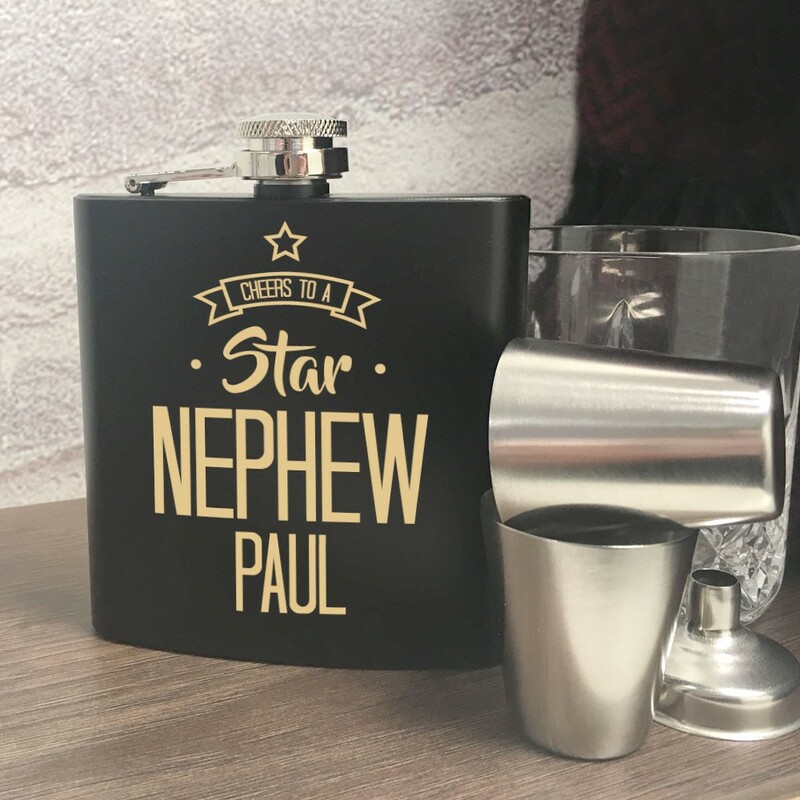 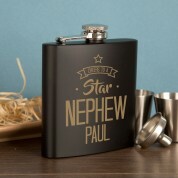 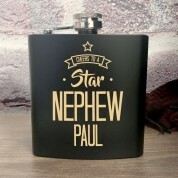 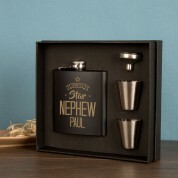 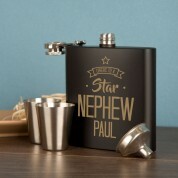 Give your nephew a truly unique gift with this beautiful matte black personalised hip flask. 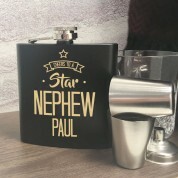 This hip flask would make a wonderful birthday or Christmas present for any nephew. 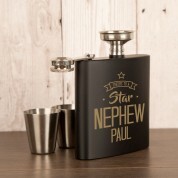 It is laser engraved with the design with your nephew’s first name. 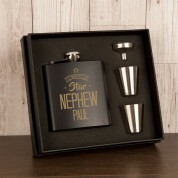 The matte black hip flask is presented in a black presentation box with two measure cups and an easy fill funnel.